It is essential and vital for businesses to be searched on Google as to survive and develop. Yet, being searchable does not mean you can be found. I mean, who are willing and patient enough to run every searched result one by one, page by page to your ranking on Page 25? Most netizens just click results on the first few pages or even less. This is no exception for your eBook. But top ranking can improve the odds that net users recognize and access your eBook. 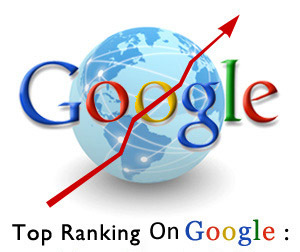 It’s very important to optimize your eBook for top ranking on Google. So what are the ways? The fastest and most effective way is to pay for it, but paying for top ranking is not the long-term strategy and will not stand you in good stead in the long run. However, you are definitely able to go great guns without impact on your budget through your own effort. How do people find your eBook? They search what they want by using keywords and phrases. That means you should perfect the description for your eBook with the hot keywords and phrases. But how do you know what the hot keywords are? You can use keyword analytics tool such as Google AdWords. This keyword tool shows you useful data like global searches and local searches. Besides, it provides you with analytics of similar search terms. It is a good idea to share your eBook on as many sites as possible because people can search and access it more easily. On one hand, write an article to introduce your eBook and post it on your blog with the book link inserted. On the other hand, post your book link on different social networks and you will enable it to be shared among your friends and your friends’ friends. What’s more, review sites and forums can also increase the book exposure. While talking about “readable”, it doesn’t only require your book content is well written, but also ensure the book is accessible with ease. The easier people can access your book, the more likely they will like it, recommend it and share it. So why not make your eBook accessible and readable both online and offline without third-party software involved. And when reading online, make sure it can be read in different browsers and mobile devices.